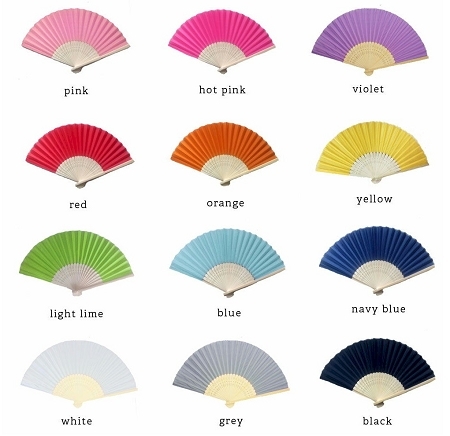 Float down the aisle accompanied by a cool refreshing breeze with these lovely silk wedding fans. 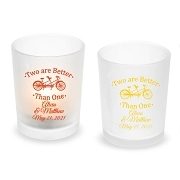 Perfect for your spring or summer wedding when every bride knows temperatures can go from sunny and mild to blazing and humid in the blink of an eye. 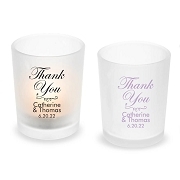 This practical and pretty favor will keep your guests as cool as cucumbers while they watch your ceremony, attend your reception or enjoy your bridal shower. 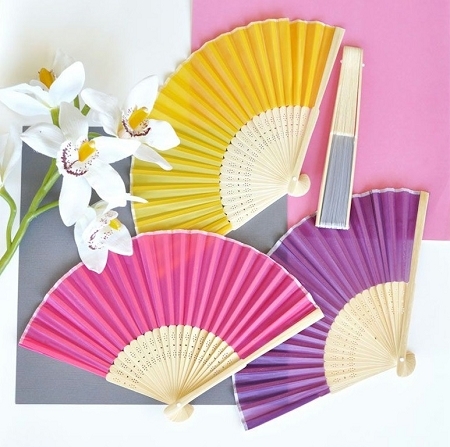 These stylish wedding fans can also give your wedding a southern feel, or perhaps add an Asian or oriental element. 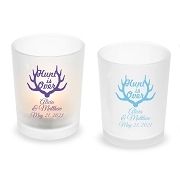 Tip: Fans can make stunning place card holders as well, simply add a place card made of thin paper and weave it through the bamboo stems (not included).